Arianna Lapenne is a Director and Cinematographer, born and raised in New York City. Arianna has shot in over 45 countries including Mongolia, Iceland, Cuba, Turkey, Egypt, Syria and Iraq, throughout Eastern and Southern Africa, South and South East Asia, and Latin America. Arianna weaves stories about possibility, highlighting the work of artists, revolutionaries and change-makers around the world. Arianna's most recent commercial work includes directing Google’s #ShowUp Campaign, Dannon’s "Inside Stories" series, West Elm’s “Design to Impact” campaign in India, a series for BULLEIT whiskey about outsider artists, and a short doc for FORD about the future of cities. Her work is characterized by an authentic verité approach yet inspired visual style- combining years of experience in the field as a documentary storyteller with the cinematic technique of a DP. Brands Arianna has created for include: Dannon, FORD, West Elm, GE, NIKE, GOOGLE, HP, MARS, Dicks Sporting Goods, BULLEIT, Motorola, and Macy's. 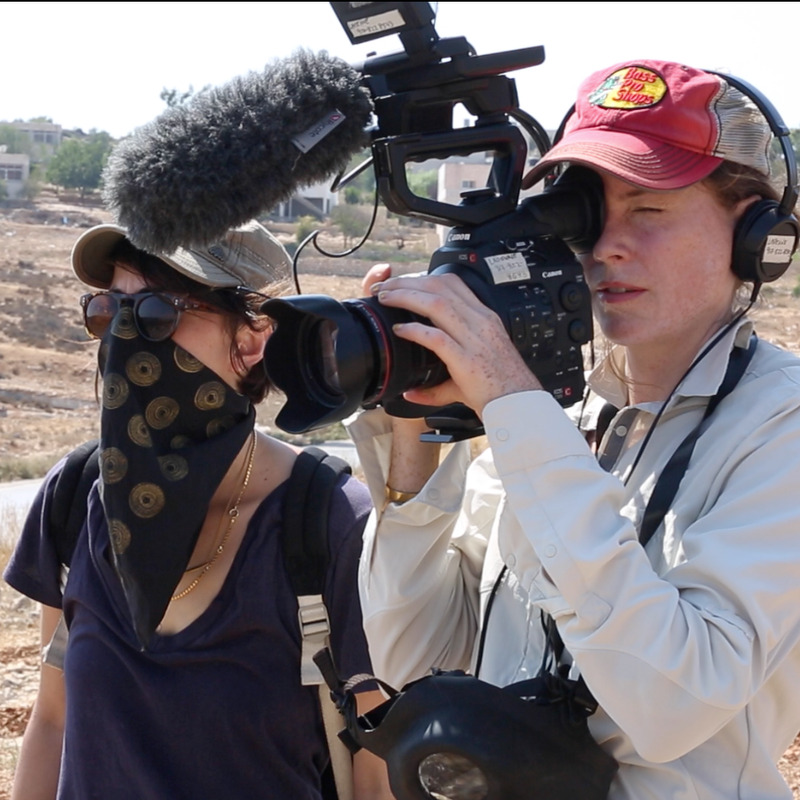 Arianna has also directed and shot for The New York Times, Al Jazeera, Viceland and National Geographic on issues ranging from child marriage, wildlife conservation, gang violence, to political conflict, and her cinematography can be seen in Viceland’s Emmy-nominated series, Executive Produced and hosted by Gloria Steinem, “WOMAN”, which investigates women’s rights around the world. Last year, Arianna embedded with Kurdish female soldiers fighting ISIS in Syria and Iraq for a feature documentary spotlighting female leaders in Syria, Iraq and Afghanistan forging routes to power for women in their societies. Arianna has worked extensively in women's rights, also lensing a series for Refinery29 about women in Egypt, Senegal, Ecuador and Turkey who are upending the gender status quo. 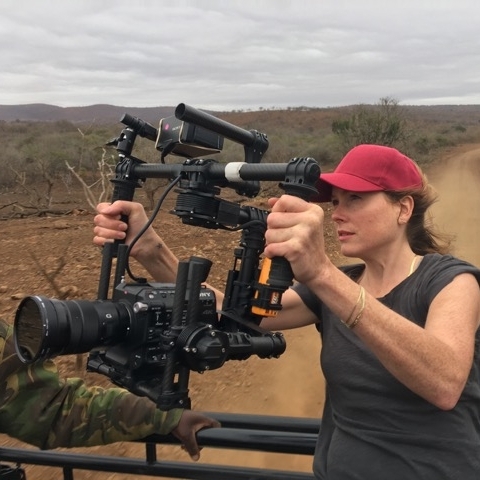 Arianna also served as a Director of Photography on the Emmy award-winning SHOWTIME series, "The Years of Living Dangerously”, executive produced by George Clooney and Arnold Schwarzenegger, National Geographic's latest season of "Explorer", Viceland’s "States Of Undress" and Emmy-award winning "Gaycation". Arianna also DP'd Peabody award-winning feature documentary “Don’t Tell Anyone/ No Le Digas A Nadie", and feature doc "Deep Run", executive produced by Susan Sarandon, both of which premiered on PBS in 2017. Films Arianna has shot and created have been screened at PBS, SXSW, DOCFest, Frameline, OUTfest, DOC NYC, and the One Show, and have been supported by Sundance Labs, the Peabody Award, ITVS, The Fledgeling Fund, and IFP. Arianna received a BFA in Film & TV from NYU Tisch School of the Arts, with special program work in Havana, Cuba. Listen to an interview with Arianna by No Film School here. Read more about Arianna here. New York Times article about Gloria Steinem series for Viceland, DP'd by Arianna.